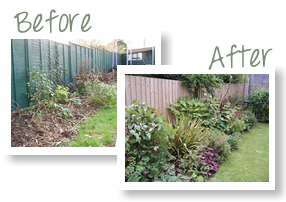 I have recently enjoyed working on a landscaping project for a Somerset village. 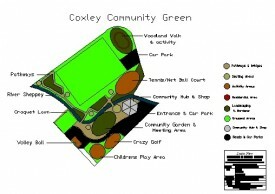 Coxley Community Green has the potential to develop a large neglected piece of land in the village of Coxley, Wells, Somerset into a beautiful area which would be a real asset for the village. At this early stage I provided a basic sketch plan with suggestions for layout and ideas, the design centered on a community hub/shop which would provide an attractive meeting point for residents next to the river Sheppy. Facilities such as Volley Ball courts, sensory garden, woodland walk, a jogging track and secluded seating areas where visitors could play cards etc. are also planned. The whole area would be beautifully landscaped using a mix of themed planting ideas and interspersed with garden sculpture to act as focal points. Watch this space for further exciting developments!